Delta Sky Club is a group of airport lounges owned and operated by Delta Air Lines, one of the largest airline companies in the world. Currently, there are over 45 Delta Sky Club location in international airports worldwide. The vast majority of these lounges are located in the United States, Delta's primary base of operation, though there are several international locations in Chile and Japan. 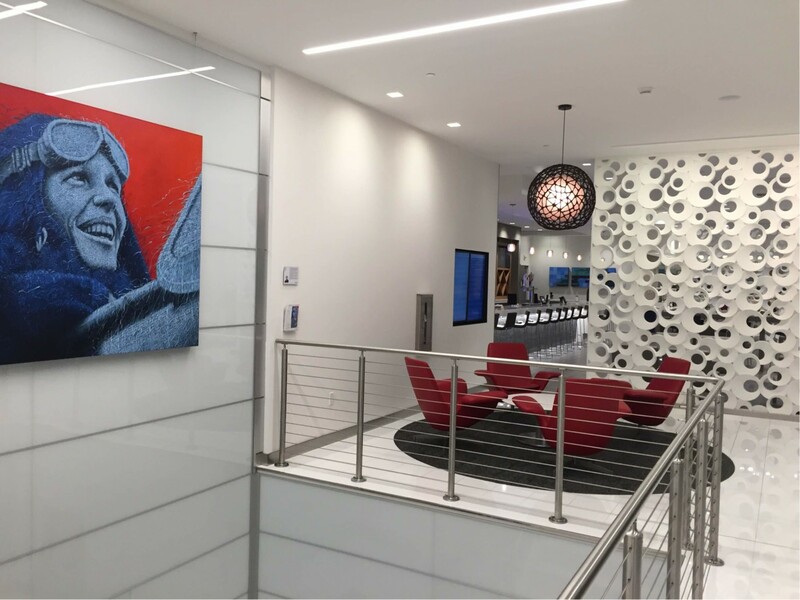 Nine, or just under a fifth of Delta Sky Club locations, are located at Delta's main hub, Hartsfield-Jackson Atlanta (ATL) International Airport. 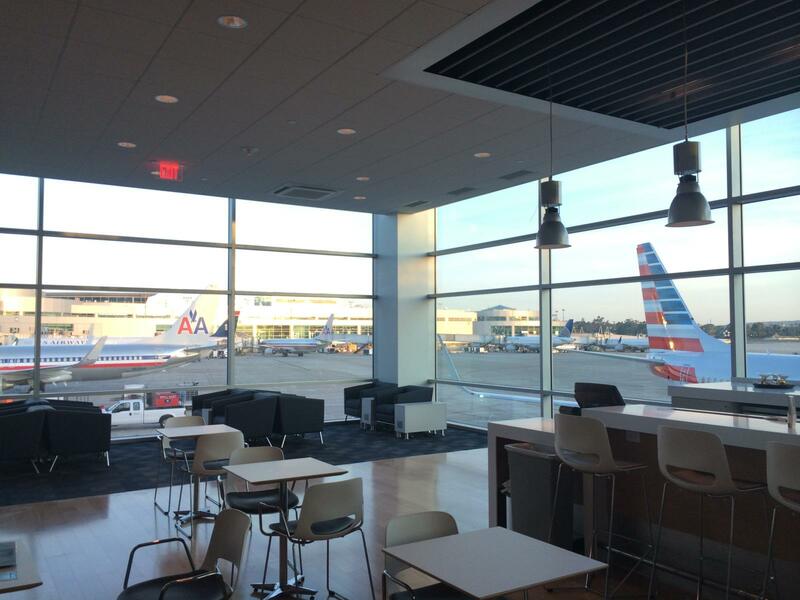 Delta Sky Clubs provide a variety of complimentary snacks, beverages, and services. On top of that, you'll find satellite TV, newspapers and magazines, restrooms, and free Wi-Fi are typically available. 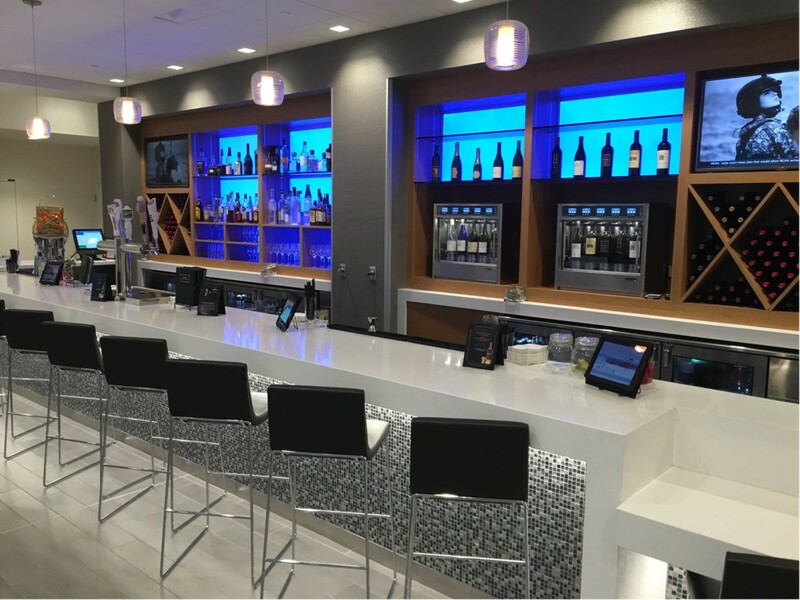 While most Delta Sky Club locations do not offer complimentary premium food options, there is an extensive selection of snacks and lighter food options to choose from. To learn more about these offerings, including nutritional information, visit the Delta selection list. Complimentary and paid alcoholic beverages, including beer, wine, and spirits, are available, as are non-alcoholic drinks like soda, juice, and coffee. Some Delta Sky Club locations provide additional exclusive amenities. This includes free self service bars and showers that you can use free of charge. These showers come with hotel-quality toiletries, including shampoo and conditioner, shower gel, hair dryers, and towels. 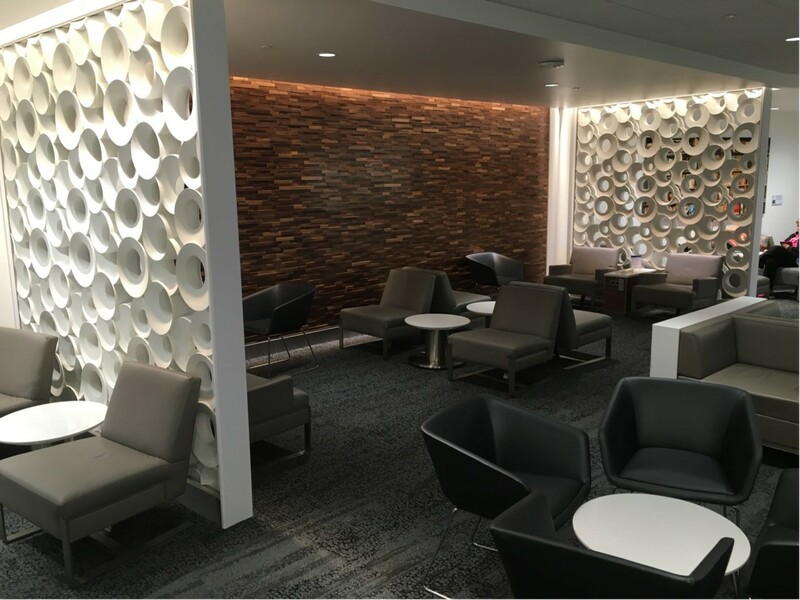 There are several ways to enter a Delta Sky Club lounge: using a lounge membership, traveling in first or business class on a number of airlines and routes, using a credit card, or through your frequent flyer elite status. As described in the chart above, the American Express Platinum card allows you to access the Delta Sky Club for free when you are departing on a same day flight with Delta. 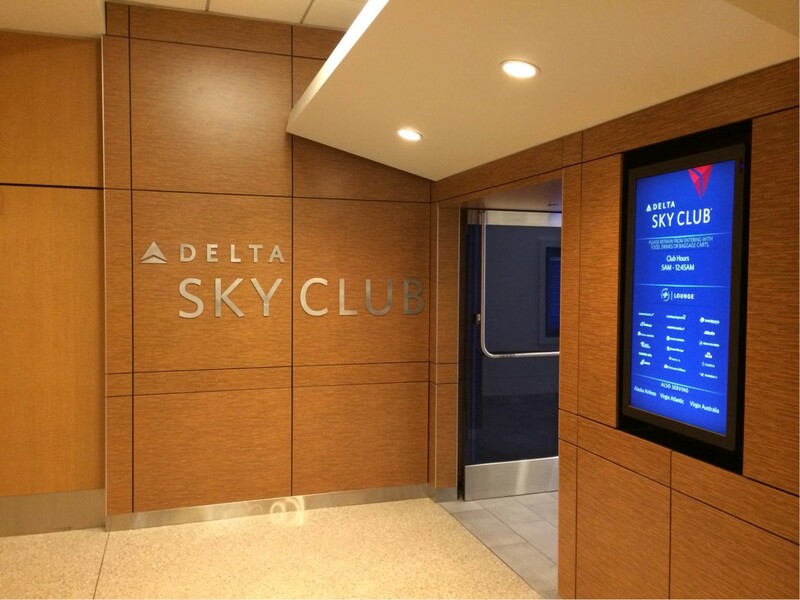 Delta Sky Club membership provides free access to any Sky Club location worldwide, as well as certain partner lounges. Delta Sky Club Executive and Individual Membership can be purchased with either frequent flyer miles or cash. Here are the respective annual membership fees. Executive Membership comes with unlimited Delta Sky Club visits with up to two guests per visit. The one-year rate is $845 or 84,500 miles. Individual Membership comes with unlimited Delta Sky Club visits for the member. Up to two guests per visit can enter the lounge at a reduced rate of $29 per visit. The one-year rate is $545 or 54,500 miles. Delta Sky Club membership can be purchased either online or at any Delta Sky Club location. Permanent cards are mailed out for annual members, and will be delivered to the address you have listed on your SkyMiles account within 4-6 weeks from the time of your order. Temporary membership cards will be issued at the time of purchase. If you purchase the membership online, you can print the card out yourself. Otherwise, you'll receive a physical card if you purchase membership at a club location. If your company is enrolled in the SkyBonus program, you can potentially redeem your points for Delta Sky Club membership or SkyMiles Silver Medallion status. 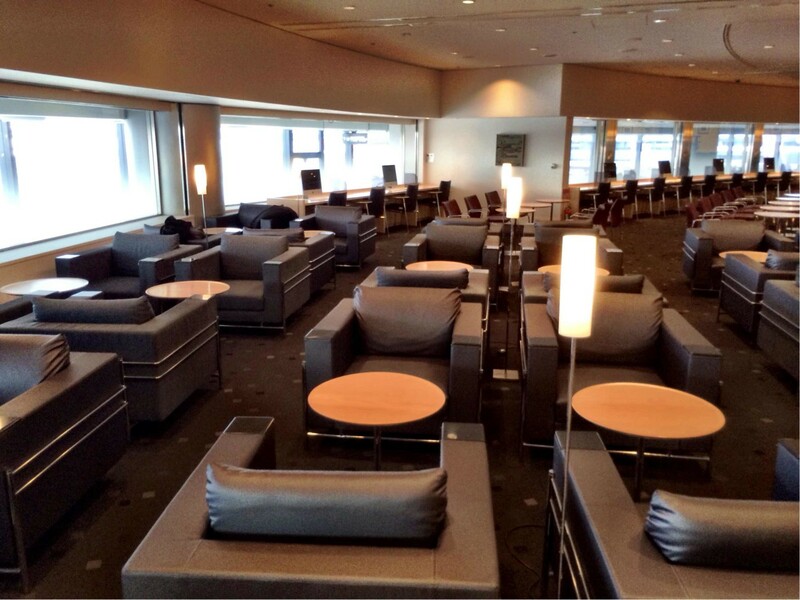 What are Delta Sky Club's House Rules? 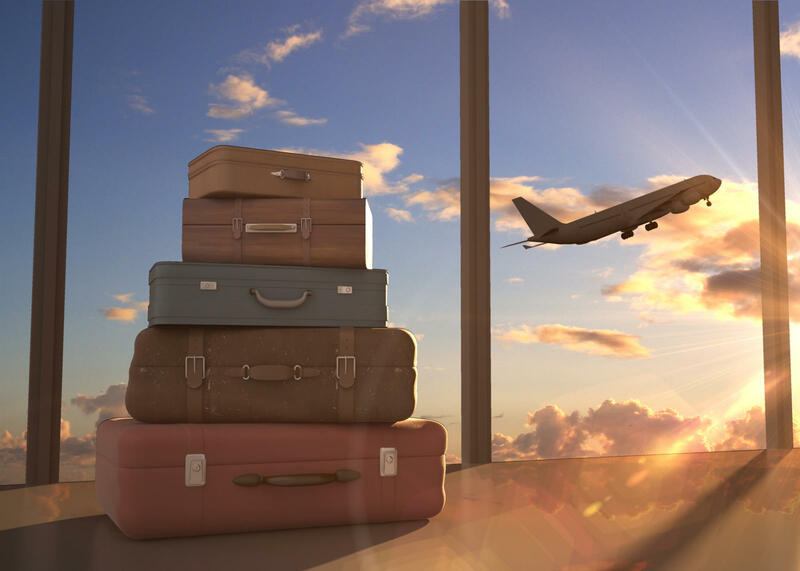 To gain access, you must show a valid government issued photo ID at the front desk along with a same day boarding pass and a valid Delta Sky Club membership or other required credentials. To enter without a responsible supervising adult, you must be at least 18. If the club has a self-service bar, the age limit rises to 21, unless you are accompanied by a responsible supervising adult who is also a club member. Local age restrictions apply in non-US locations. Delta reserves the right to deny entry to anyone who would potentially interfere with Delta Sky Club's businesslike atmosphere, so be sure to dress in an appropriate manner. Airline, airport, and industry employees are prohibited from entering the lounge while clothed in work or Delta-branded apparel. Business meetings and job applicant interviews are not allowed in any area of the Delta Sky Club except the conference rooms, which must be pre-booked. Conference room booking will be explained in further detail below. Alcohol will not be served to individuals under 21 (local age restrictions apply in non-US locations). Food and beverages may not be brought into the Delta Sky Club, and alcohol may not be removed from inside the club. Smoking, chewing tobacco, and electronic cigarettes are all prohibited. Executive members may bring a spouse/domestic partner and any number of children under 21, or alternatively, 2 guests, provided that adequate space is available. Guest and family privileges apply only when visitors accompany the member. Membership is non-transferable or refundable, and is effective from the date of purchase. The membership card is property of Delta Air Lines, and must be returned to Delta upon request. Membership can also be terminated at any time without compensation. 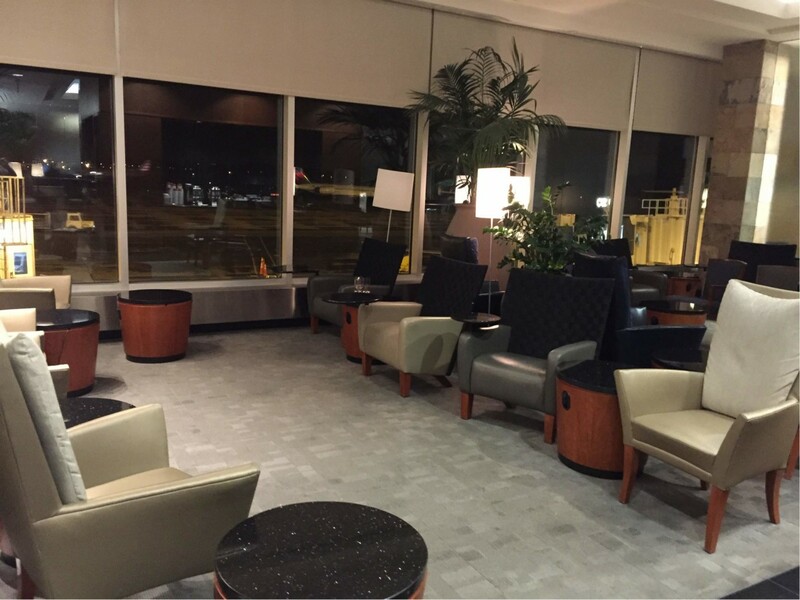 As a Delta Sky Club member, facilities can be used when you're flying with any carrier on the same day. You must be at least 18 years of age for club membership. To obtain Sky Club membership, you can also apply online or print the application and mail or fax to number/address listed on the application. Dogs, cats, and household birds are the only types of pets allowed into Delta Sky Club, and they must be at least 8 weeks old and in a kennel. These conference rooms come with state of the art audio-visual equipment, and catered meal service and additional snacks are available for a reasonable rate. Delta Sky Club members can book a conference room for $50 per hour, while nonmembers can do so for $75. If you prefer to book online, you can do so on this page. You can also book a room over the phone by calling 800-496-2225 to speak with a representative between 8AM and 9PM (ET). If you are calling from outside the United States, Canada, Puerto Rico, or the US Virgin Islands, the number is 972-776-5361. Delta regularly tests new amenities, changes food and beverage offerings, and renovates, relocates, or opens new locations. LoungeBuddy frequently updates amenities, hours, locations, and other valuable information for Delta Sky Clubs worldwide on our App, available for free. 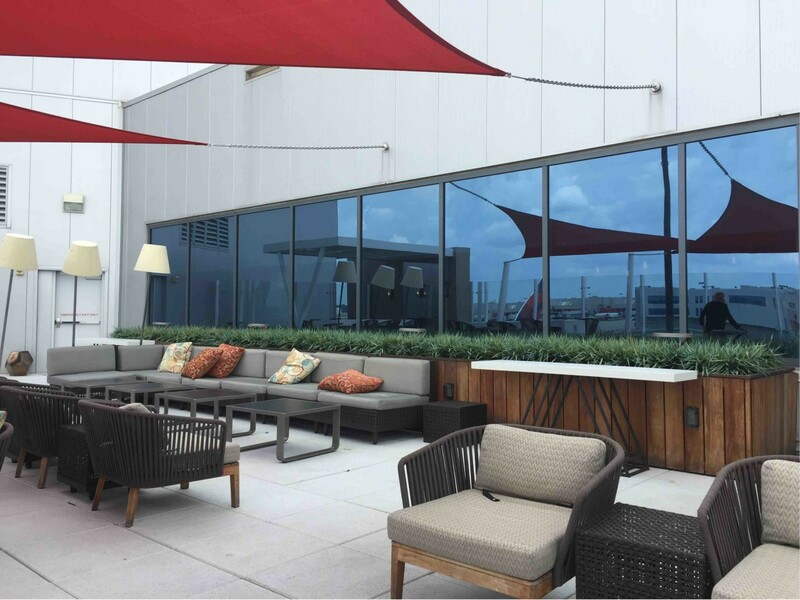 With over 45 lounge locations worldwide, Delta maintains a significant presence at most major US airports, and the Delta Sky Club experience is a major highlight for premium Delta passengers before their journeys. 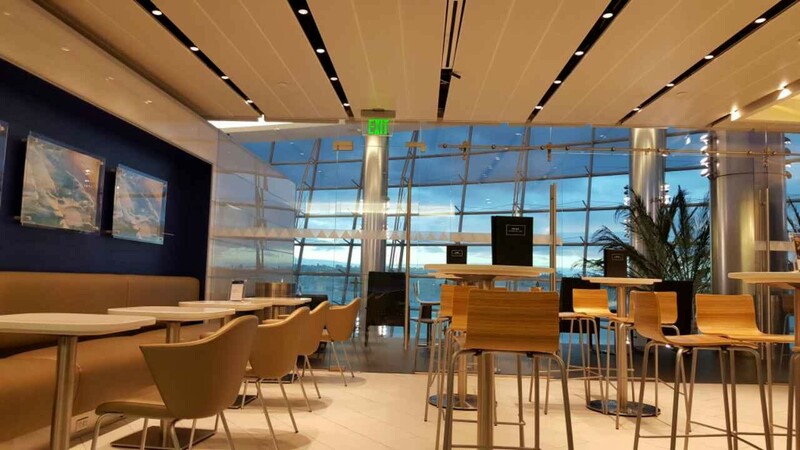 By pouring such a big portion of their resources into the modernization and renovation of the Delta Sky Clubs, Delta has shown that they are willing to go above and beyond to maintain and expand their passenger base. From their much heralded Sky Decks to their premium product trials, which included upgraded bagels, Delta has clearly exhibited a drive to innovate and move forward, which will be a critical factor as the battle in the airline industry continues to heat up. The LoungeBuddy App is an excellent way to learn more about individual Delta Sky Club locations. LoungeBuddy is the most complete up-to-date directory on airport lounges worldwide, with information on over 600 global airports and 2000+ lounges. With its unique access wizard, you can simply input your trip information and any elite statuses, credit cards, or lounge memberships that you may have, and LoungeBuddy will generate a customized list of lounges that are available to you, with reviews, photos, descriptions, directions, amenities, and more!